It must be the SHOES!! In this case it might be, soccer shoes and associated footwear for training is an important step in maximizing your training. 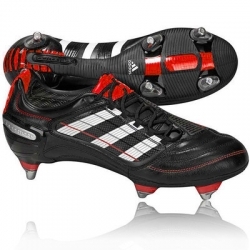 Choosing Firm ground or Soft ground Cleats all depends on the weather and pitch conditions. Having a pair of Indoor and Turf shoes completes every warriors arsenal of weapons, two more must haves. Don't wanna be blaming those missed pk's or injuries on those cleats you got from the lost and found bin. 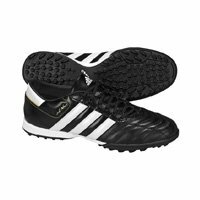 Soccer footwear specifics taken from professional settings and clubs that use nothing but the best for intense training purposes. It was pouring down rain all last night, and I have a game in a few hours which cleats should I go with multi or six stud? Wait it's a turf field, now what? All of your answers along with recommendations and advice on how to get the best out of your training footwear. A poor craftsman blames their tools, don't let it happen to you now. The breakdown of each shoe and associated equipment are broken down individually. To really understand the strengths and weaknesses of each click through the page and familiarize yoursself with them all. 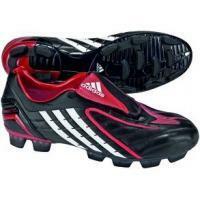 Every great warrior takes pride in their weapons and soccer boots are your weapon. Okay lets be real, footwear does play a role in terms of choosing the appropriate shoe for the appropriate condition. But in terms of player skill level and development there is no magic shoe that will take your game from average to good or good to great. Some people do feel more confident on the pitch when they look good so if thats what it takes for you then do it. The golden rule when choosing footwear is comfort over look, ya sure you want both but you want to feel good in them above all. All Firm Ground Soccer Cleats are not created equal! Knowing when and which shoe to use can be tricky. Generally when the ground is hard or firm (hence the name) is when you go with this cleat. If you're the kind of player who likes classic copa's and keeping it simple we've got shoe training advice for you. If you're the flashy, need to wear sun glasses to see your shoes kind of player, we've got advice and shoe tips for you as well, oh and therapy. Enjoy. Damp pitch? 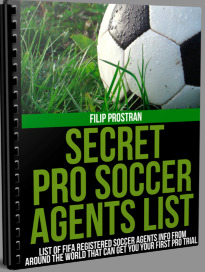 Better lace up those Soft Ground Soccer Cleats and get the traction you need my friend. If you've ever slipped while playing or lacked that traction you needed on the pitch then you're probably not wearing what you need on your feet. Anybody that's used Soft Grounds knows where I'm coming from when playing a game on a soaked pitch and the pitch is as soft as mud. All of you British players probably only have SG boots and can relate. 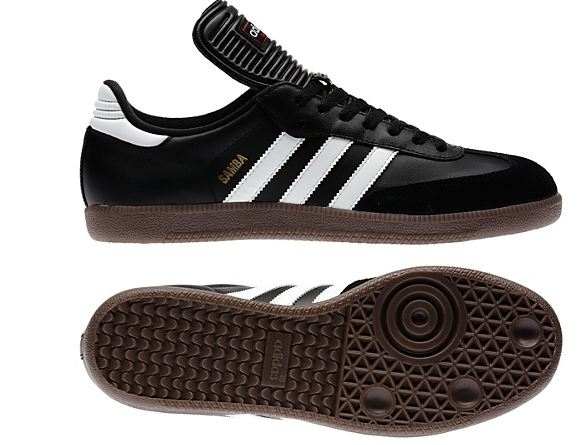 Quality Indoor Soccer Shoes are necessary for every player that loves to play a little indoor. Close touch, full control and comfort are all things that make a good indoor shoe. You might have a friend that's had the same pair of indoors for years because they like the way they feel, wait, it's you isn't it? Picking the right shoe is important for bringing out your full potential on the field, if only they could play for themselves. Can't decide when to use your Soccer Turf Shoes ? Or do you not even know what purpose they really serve? Whichever the case soccer turfs can be a useful tool to have in your arsenal for both indoor and outdoor turf pitches. Some prefer them over cleats because of the closer control and touch you can have with the sole. You like rolling the ball over and over don't you? Then it's turfs all the way. All the Soccer Training Equipment you'll need now that you've got the footwear necessary. Cones, speed ladders, poles and much more that you can use when you're training on your own getting ready for season. Now that you have all the tools, it's time for you to build your own path to the top of that mountain. 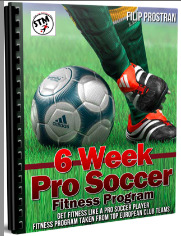 If you are serious about your game already then you know the value of having quality soccer shoes and associated gear. Even though these days some boots cost you an arm and a leg. Having reliable quality equipment is important, just be thankful you're not playing hockey and buying all that equipment. Now that you've got all the info on what you need and how you need to feel with them on, all that's left is to buy them and play. Oh and remember, if you miss that sitter in injury team for the win and think it's the soccer shoes you decided to go with, don't look at me. But if you barry it, it's all thanks to yours truly, enjoy. What's your favorite Soccer Cleat of all time and Why?